Moses Mabhida, a formidable man who was instrumental in the development of the South African Congress of Trade Unions. This man was determined to be someone who supported the people and the stadium was named after his fighting spirit. Not only does its captivating design and wide spread grounds give you a rounded view of Durban, it also gives you a sense of pride and adventure as you breath in the fresh and crisp ocean air. The Moses Mabhida stadium is only minutes away from the newly developed beach front which is an attraction in its own right. The arch of the stadium is a marvel that was modelled after Moses Mabhidas “principle of unity” and the National Flag of South Africa. The sheer engineering genius of the arch is not only for viewing; You are able to take a Sky Cart along the arch and thoroughly enjoy the breath-taking, panoramic views of Durban while feeling as you’re on top of the world. Another attraction of the Segway Gliding Tour is the People’s Park which is adjacent to the MMS. Glide around this vast area, and enjoy the hub bub of the “Durbanites”. This park often plays host to various events, parties and serves as training grounds for various professional sports teams. Segway Gliding Tours is an eco-friendly and adventurous way to tour the Stadium and its surrounds. 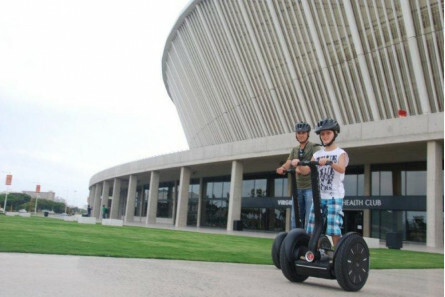 Join us and experience the ease of riding a Segway, take in the sounds and sights of Durban, and experience the famous “Segway Smile” which everybody shows while riding a Segway. 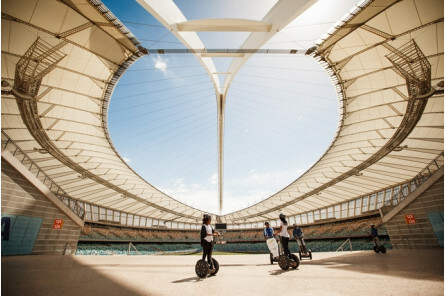 With an experienced fun-filled tour guide leading the way, you will effortlessly glide to every hot spot of the stadium, offering riders views of historic victories and picture perfect photo opportunities. 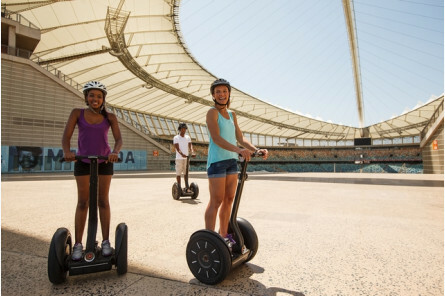 The knowledgeable Tour Guide will provide you with interesting facts about the stadium, City of Durban and the Segway that will ‘wow’ both locals and tourists alike. Be seen on a Segway on a MMS tour and share in the laughter, knowledge, freedom and excitement of South Africa’s leading hot spot. 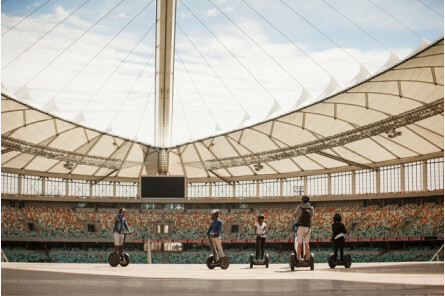 Let us give YOU the experience of a lifetime on the world’s leading green, gyro-stabilised, mobility transporter. Availability: Tours take place daily. Who: Sadly, no children under 10. 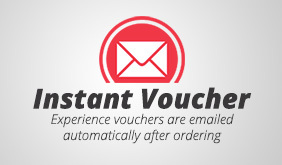 Numbers: This is experience is for one and may form part of a group. Weather: Tours are weather dependent. Duration: Allow 75 minutes for this experience.